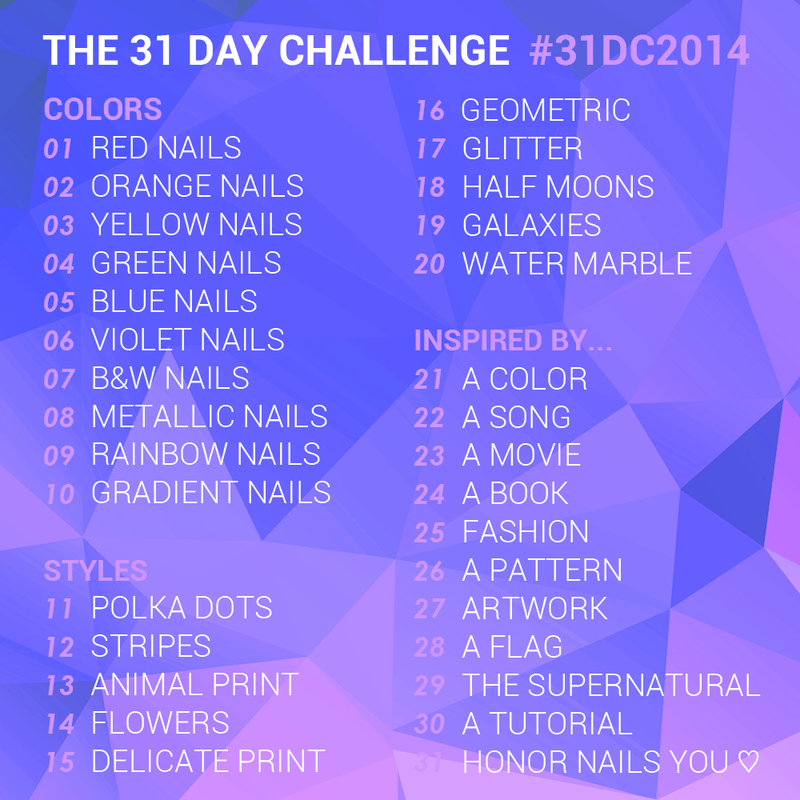 Today’s theme in the 31 Day Challenge is galaxy nails. 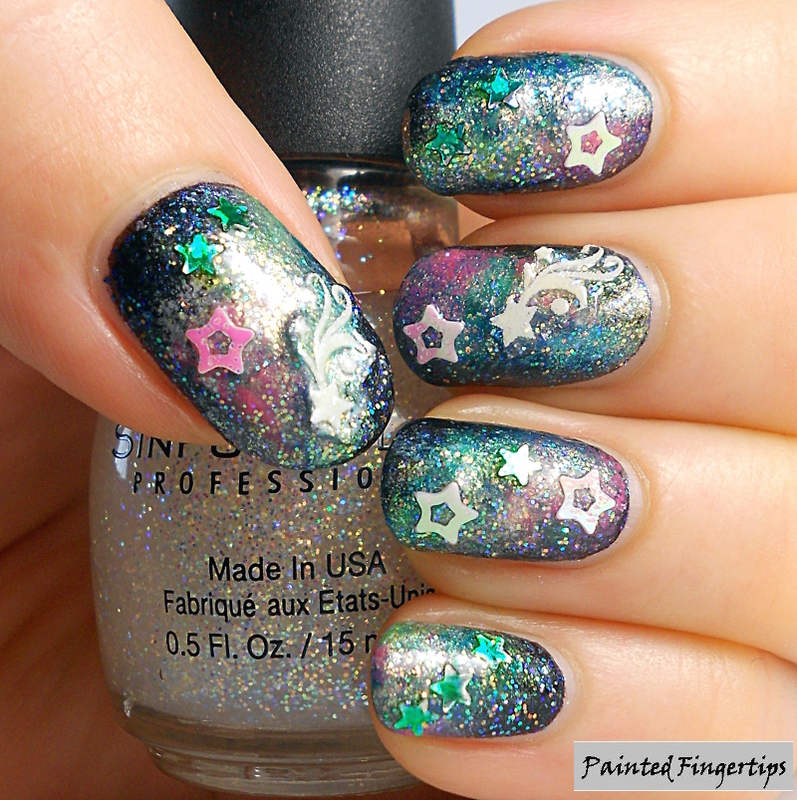 I’ve never had much success with galaxy nails and today just confirmed that – galaxy nails are definitely not my thing. I tried two different looks for today and I just don’t love either one. In my first attempt, I started with a base of Essence Jacob’s Protection covered by Jewels in the Pool and sponged on Essence Galactic Glam, Roller Coaster, Over the Rainbow, Happy End, Tip Top Jitterbug Lime, Moonshine, Champagne Whispers, Sinful Colors Snow Me White, and Rimmel Cutie Colada. 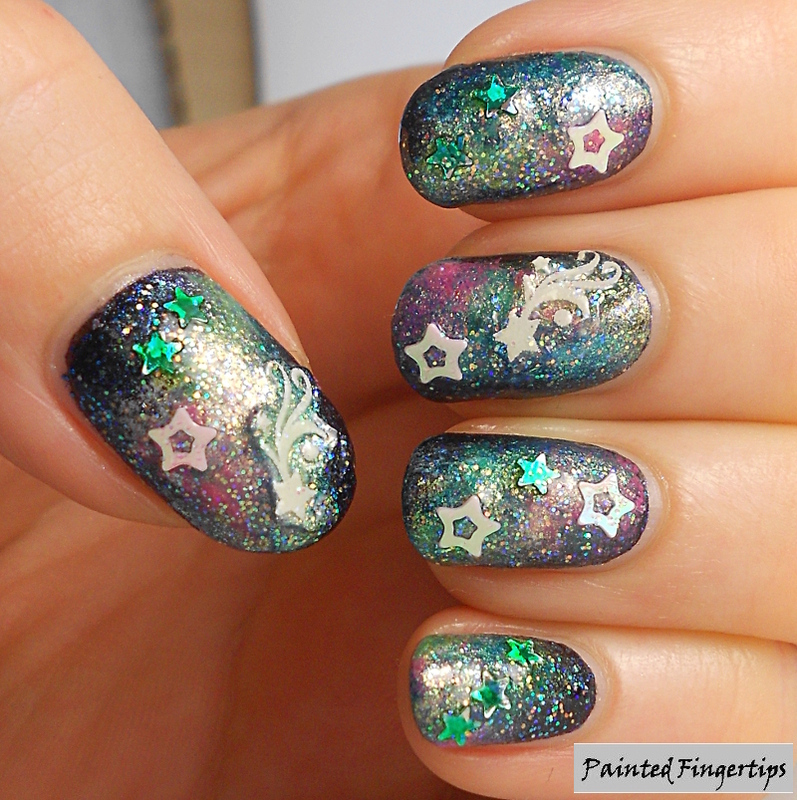 I soon realised things weren’t working out the way I wanted them to, so I tried to rectify the situation by liberally applying Sinful Colors Opal Glitter along with various star glitters and stickers… I decided on a second attempt and thought I’d go in another direction with pastel pink galaxies. 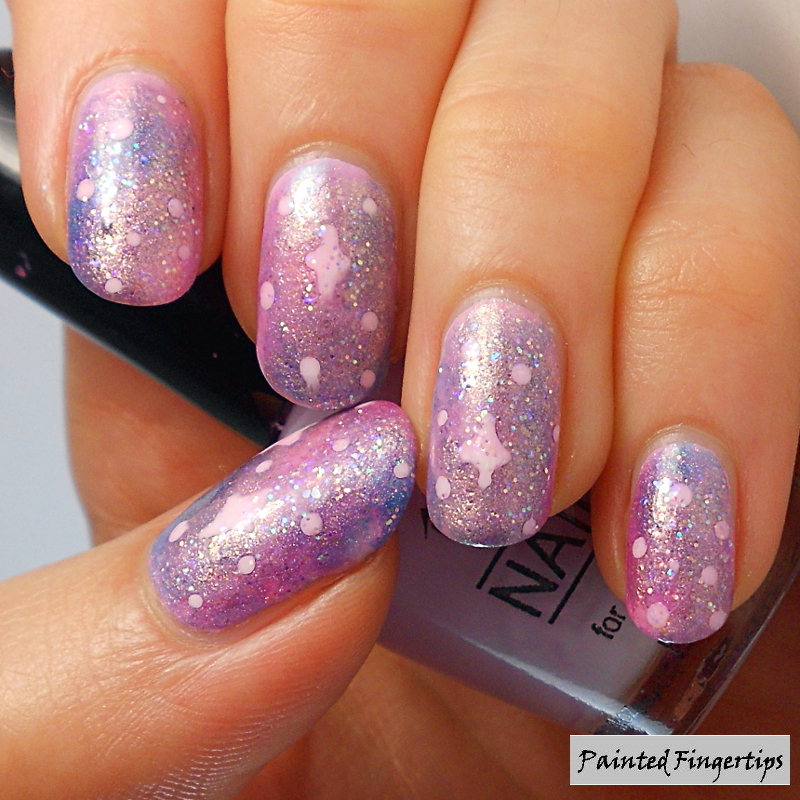 Over a base of Tip Top Melting Marshmallows, I sponged on Tip Top Fairy Dust, Sherbet Angel, and Champagne Whispers, along with Essie In the Cab-ana, Sally Hansen Blizzard Blue, Essence Oh My Glitter!, Nubar Absolute, and Born Pretty Holo Polishes in #1, #9, and #10. 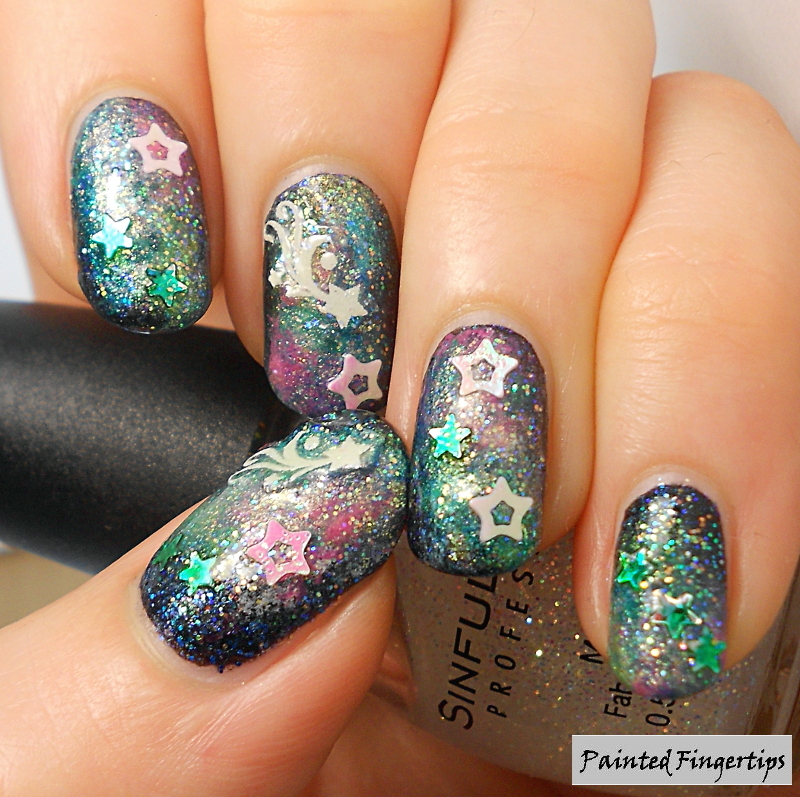 I added stars using Sinful Colors Snow Me White and topped it with a coat of Essence Party Princess. 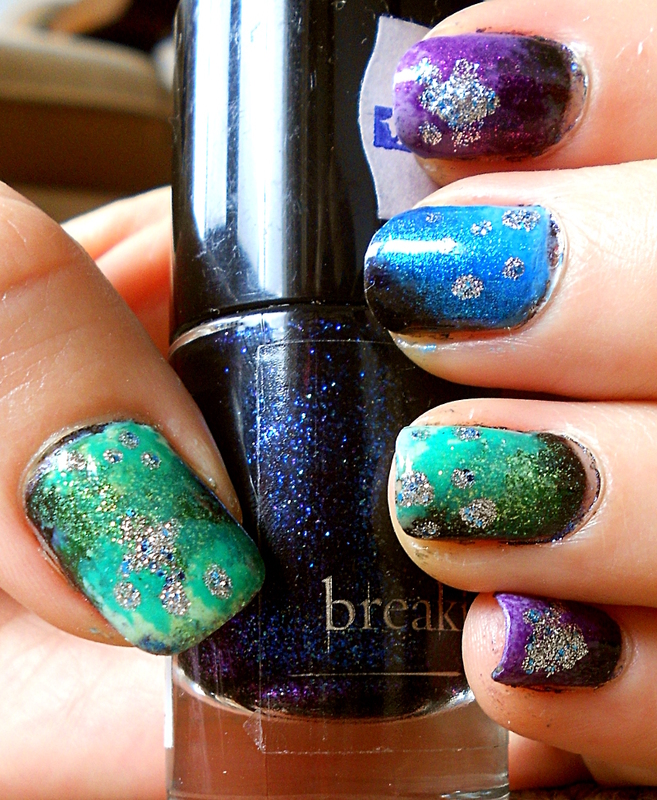 I don’t hate either of these looks but I just don’t like them very much and I don’t think this type of nail art is my best. 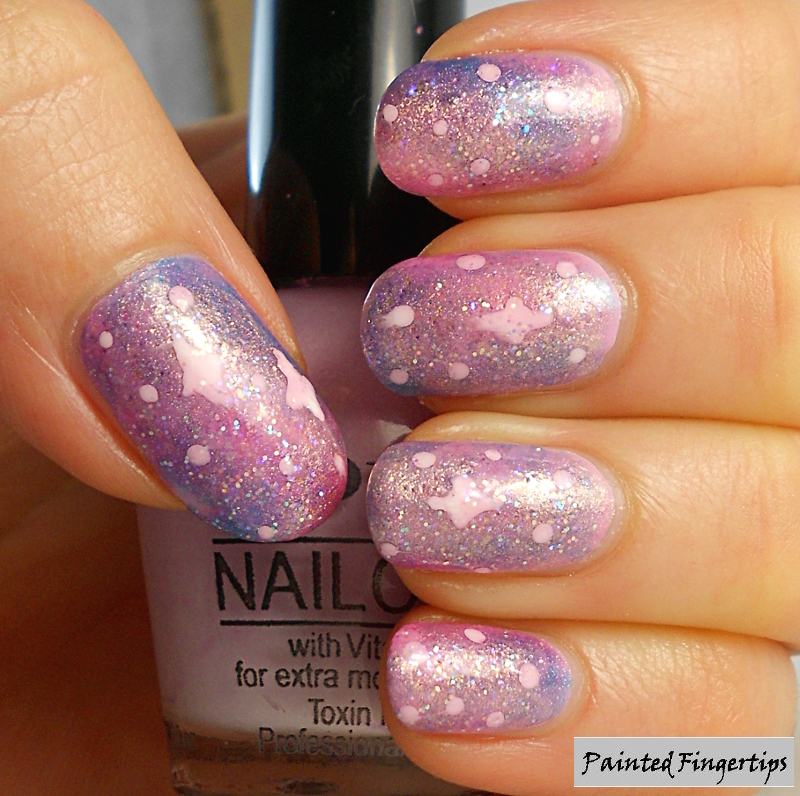 Luckily tomorrow is water marble day! Last year I did some really shocking galaxies – at least I’ve improved since then!